McWane Ductile recently hosted Ferguson Waterworks-Michigan for a foundry/facilities tour. We are pleased to have Ferguson as a new distributor. Ferguson is one of the nation's leading supplier of waterworks, sewer, geosynthetic, and storm water management products. 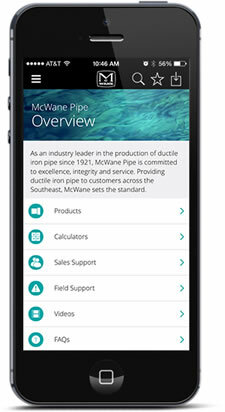 McWane Ductile looks forward to a long and prosperous partnership for many years to come.